Inside The Mouse Castle is getting a new home. Sort of. For the 15 months or so that Anthony and I have been doing the show, we've always piggybacked it with The Mouse Castle Lounge on iTunes, Stitcher and the many other mobile apps and podcast directories out there. One podcast channel, The Mouse Castle; two shows. Some of you like The Mouse Castle Lounge more than Inside The Mouse Castle. We're cool with that. Some of you like Inside The Mouse Castle more than The Mouse Castle Lounge. We're also cool with that. Some of you like both shows. You're our favorites. Some of you can't stand either show. You're probably not reading this. Realizing that each show tends to appeal to a different slice of Disney fan, we decided to spin-off Inside The Mouse Castle into its own listing, which you can now find separately on iTunes, Stitcher or wherever you access your favorite podcasts. Not much. Both shows will still be here on The Mouse Castle blog and on all our social media spots. You'll still be able to search all our shows on your favorite mobile app. If you have a podcast subscription to The Mouse Castle, however, you'll need to also subscribe to Inside The Mouse Castle now to keep up with everything we've got going on. It's pretty simple, really. Just make sure you subscribe before November 8. After then, all the ITMC shows will vanish from The Mouse Castle directory, which will once again become The Mouse Castle Lounge. A note to Mouse Castle app users: on November 8, all the ITMC shows will go away and the app will only play Mouse Castle Lounge shows. And for our SoundCloud subscribers, good news! Nothing is changing for you. SoundCloud lets us split The Mouse Castle podcasts into two different playlists. If it ain't broke, don't fix it. Hopefully, this isn't too confusing. We're changing things up a bit to make it easier for our current and future listeners to find and enjoy both Inside The Mouse Castle and The Mouse Castle Lounge. Thank you so much for your patience and understanding. As always, we love that you're part of Team Mouse Castle. 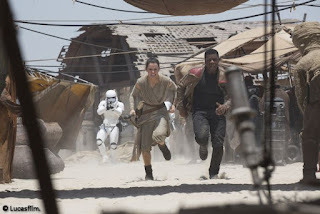 Daisy Ridley and John Boyega in Star Wars: The Force Awakens. Okay, we're not quite done with this yet. Because our timing was off a bit last week, Anthony and I are taking the opportunity today to really break down the new Star Wars: The Force Awakens trailer. Join us as we attempt to answer the burning question, "Where is Luke Skywalker and what did J.J. Abrams do with him?" 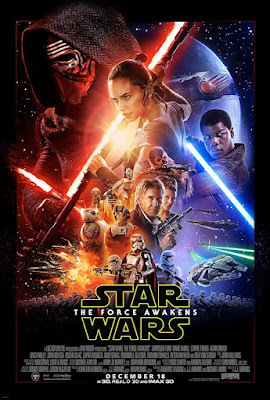 We also talk about how the explosion of online ticket sales for The Force Awakens crashed sites like Fandango.com and MovieTickets.com in an onslaught that was eight times higher than any previous movie pre-sale. Seriously, this stuff is crazy. The new trailer for Marvel's Jessica Jones looks dark, ominous, violent...and absolutely amazing. The series starring Krysten Ritter and David Tennant launches on Netflix November 20. DisneyLife will launch in the U.K. next month. It will offer classic Disney films, television series and even books in a media streaming service that sounds like a cross between Netflix, Disney Movies Anywhere and iTunes. Bob Iger has been inducted into the Broadcasting and Cable Hall of Fame. It's good to be king. Disney is developing a new theatrical movie based on the Tower of Terror theme park attraction. We kind of hope it's better than the 1997 made-for-TV flick starring Steve Guttenberg and Kirsten Dunst. You’d be hard pressed to find a more prolific Disney writer than Jim Fanning. 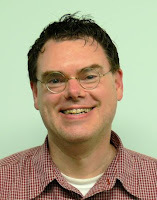 For over 30 years, Jim has written countless articles for publications ranging from Disney News to Disney Magazine to Sketches to Disney twenty-three. 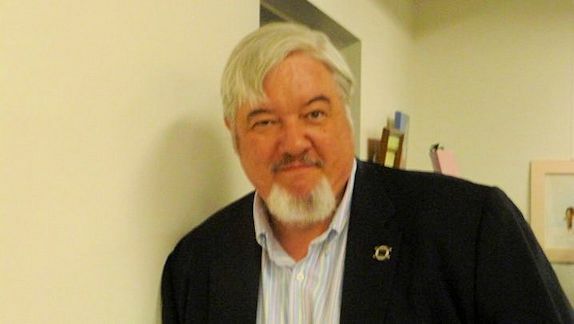 He’s contributed stories to The Hollywood Reporter, Disney Newsreel and Persistence of Vision. 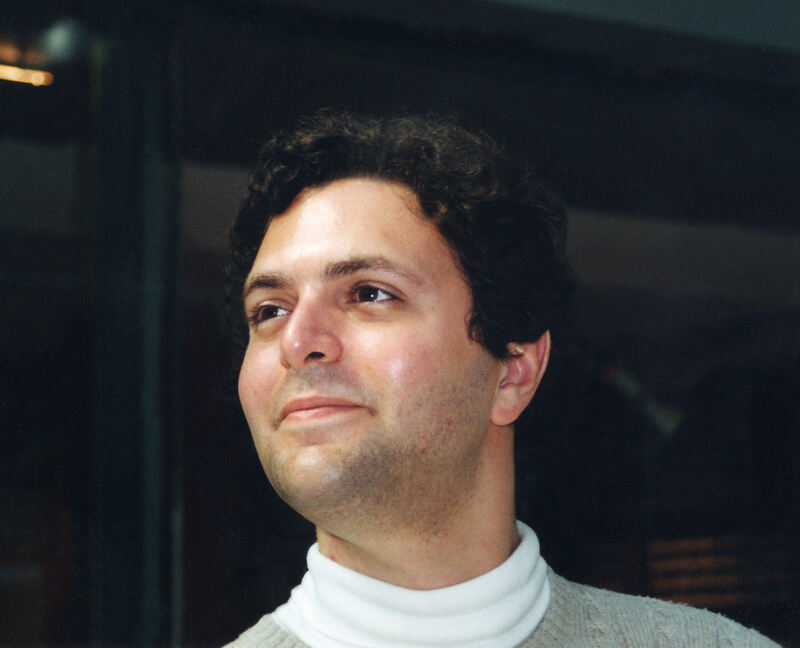 His work internally at Disney has spanned nearly every division including Feature Animation, Home Video, Publishing, Interactive, Online, Educational, Character Voices, Disney Stores and Consumer Products. Not bad for a kid who started his career at Disney in the mail room. Jim has written a number of books and his latest is a compendium of Disney history called The Disney Book: A Celebration of the World of Disney. It reads like a greatest hits package, spotlighting the many watershed moments of Disney animation, live-action film, television, theme parks and merchandising. It takes us from Walt’s humble beginnings as a cartoonist and animator in Kansas City all the way to the gargantuan construction of the Walt Disney Company’s latest resort enterprise, Shanghai Disneyland. Pretty much everything in the book is the glossed-over “official” version of Disney history, which is unsurprising given the book was published by DK, an official licensee of Disney. Nevertheless, it’s an enchanting read with plenty of photos and artwork that serve as a perfect introduction for those new to Disney, and a nostalgic reminder to the rest of us of how Disney magic hooked us in the first place. Today, Jim talks about the creative efforts it took to bring The Disney Book to life, the many Disney Legends he’s gotten to know over the years, and why some of his projects you may never quite understand. Jim Fanning is my guest today in The Mouse Castle Lounge. 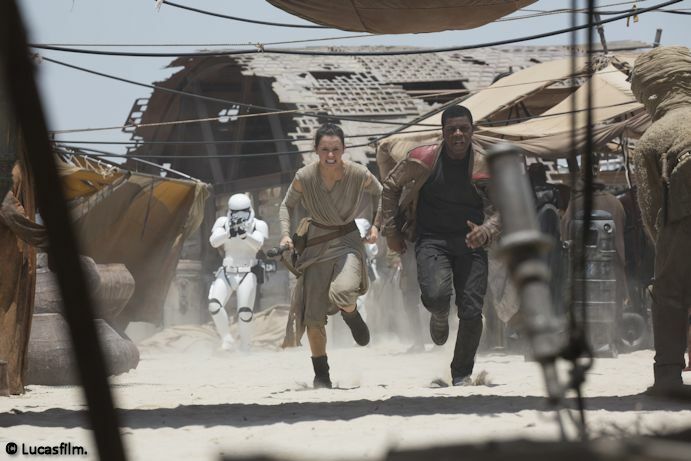 So, yeah, the Star Wars: The Force Awakens trailer. Heard anything about it? When Anthony and I recorded this week's show, we'd heard a little bit about the trailer, but it hadn't been released yet. Never ones to be deterred by a lack of information, we pressed forward with the show anyway, talking about a trailer we hadn't seen yet and analyzing the new Force Awakens movie poster we did see. You can see both of them here, right now. Disney Infinity will have a Star Wars: The Force Awakens play set that will launch on December 18 to coincide with the film's release. You know I couldn't resist sneaking that one in. Benicio del Toro (Guardians of the Galaxy) is expected to play the villain in Star Wars VIII: Insert Subtitle Here. We think it's a rule now that if you do a Marvel Cinematic Universe film, you have to do a Star Wars film. Spider-Man will start making appearances at Super Hero HQ, inside the old Innoventions building at Disneyland, beginning November 16. This makes my spider sense tingle. Was Steven Spielberg serious when he said he'd make a fifth Indiana Jones movie with Harrison Ford? We don't think so, but it's fun to think about. Is the green guy headed to Planet Hulk? Mark Ruffalo will play Bruce Banner/Hulk in 2017's Thor: Ragnarok. The rumor is the movie will bring in elements from Marvel Comics' Planet Hulk story line. In an online Q&A, James Gunn shared a few details about Guardians of the Galaxy, Vol. 2. He confirmed Nebula (Karen Gillan) will play an expanded role in the movie. Meanwhile, Groot will remain Baby Groot, much to the chagrin of Drax (Dave Bautista). Gunn is also hopeful Stan Lee will be back for another cameo appearance. Walt Disney's Fantasia will be back on the big screen for a limited engagement in November to mark the film's 75th anniversary. Anthony and I would like Miley Cyrus and Nicolas Cage to see it with us. We'll explains. For details, visit www.Fantasia75.com. Bob Iger has been inducted into the Toy Industry Hall of Fame. Apparently, Disney-themed toys have really caught on. It was inevitable. There will be a Descendants 2 on the Disney Channel. To quote Darth Vader: "NOOOOOOOOOOOOOOOOOOOOOOOOOOOOO!!!!!!" This is becoming a habit--and I’m totally cool with it. Historian Didier Ghez is once again paying a visit to the Lounge—this will be his fourth time. He just can’t get enough of us. It’s always a pleasure to have Didier on the show and today he’s here to talk about his latest project, They Drew as They Pleased, a book series celebrating the great concept and story artists of Disney’s past. Before an animator begins to work magic with a character, he or she draws inspiration from the sketches and designs of concept artists. 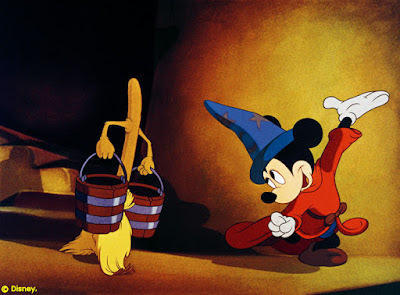 The Disney Studios set the standard for this artistic collaboration beginning in the 1930s, bringing aboard major talents such as Albert Hurter, Ferdinand Horvath, Gustaf Tenggren and Bianca Majolie. Didier’s first volume shines the spotlight on these artists, whose influences can be seen in numerous Mickey Mouse and Silly Symphony short cartoons of the era as well as feature films like Snow White and Seven Dwarfs, Pinocchio, and Fantasia. Much of the art Didier has compiled comes from rarely seen private collections or from deep inside the vaults of the Disney Animation Research Library. It’s a genuine treat to be able to see them publicly for the first time. Just as fascinating are the book’s biographical notes, which give a compelling look not only at the talent and temperament of the artists profiled, but also insight into what it was like to work for Walt Disney at the beginning of the studio’s first golden age. I cannot recommend They Drew as They Pleased enough and I cannot wait to see what the future volumes hold. Here today to talk as he pleases is Didier Ghez, my guest in The Mouse Castle Lounge. We've got plenty of movie news for you this week Inside The Mouse Castle. Marvel announced Ant-Man, closing in on $500 million at the box office worldwide, will get a summer tent pole sequel, Ant-Man and the Wasp, in 2018. That move will bump Black Panther to a February 2018 release. Meanwhile, Captain Marvel will move from a primo holiday season release in 2018 to a less showy March 2019 premiere. It's clear Marvel is hedging its bets on untested characters while giving the now-proven Ant-Man a second shot at the summer spotlight. 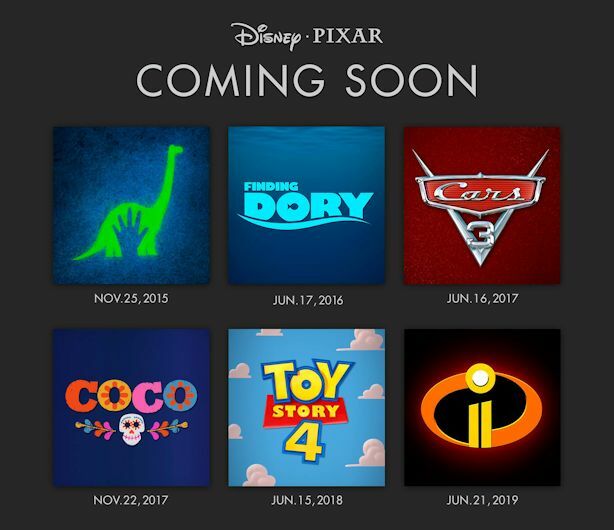 Over at Pixar, our hopes for a sooner-than-later Incredibles sequel have been dashed. Incredibles 2, written and directed by Brad Bird, won't see daylight until summer 2019. Toy Story 4, the sequel no one expected, will hit theaters in June 2018. That moves the sequel no one wants, Cars 3, to summer 2017. 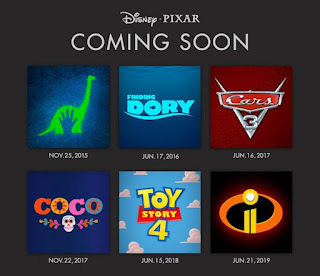 After next month's The Good Dinosaur, the lone non-sequel in the mix, the Lee Unkrich-directed Coco, is slated for November 2017. Star Wars: The Force Awakens will have its world premiere in Los Angeles on December 14 ahead of its wide release in the U.S. on December 18. Surprise, surprise, that's all we know for now. No specific venue has been announced yet. Fourteen year-old native Hawaiian Auli'i Cravalho will voice the title character in Walt Disney Animation Studios' Moana, opening in U.S. theaters November 23, 2016. She's cute. We like her. And we can't wait to see the John Musker/Ron Clements-directed Polynesian adventure. Disney is working on a live-action flick based on Cruella de Vil. Didn't Glenn Close do this already? Twice? 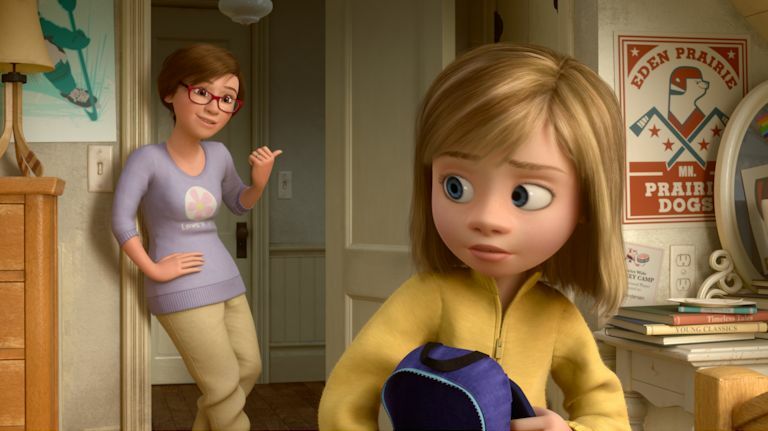 Pixar's Inside Out arrives on Digital HD and Disney Movies Anywhere on Tuesday. It'll hit Blu-ray on November 3. The movie is awesome, but the appeal of catching it on video is to see Riley's First Date?, the super-funny short cartoon about how Riley's parents react when a <gasp!> boy shows up at the door. Rest in peace, Kevin Corcoran. The former child star and Disney Legend passed away last week at the age of 66. He made multiple TV appearances on the original Mickey Mouse Club as the annoying, but fun-loving character Moochie. He also appeared in numerous Disney films including Old Yeller, The Swiss Family Robinson and Toby Tyler. Corcoran gave up acting as a child and went on to have a successful career as a producer/director in television and film. Guests were stranded more than two hours Saturday when a Monorail train broke down at Walt Disney World between the Magic Kingdom and the Contemporary Resort. All passengers were eventually rescued and no injuries were reported. Next March, Disney Infinity will launch Marvel Battlegrounds, a play set where up to four super heroes can do battle with each other against a backdrop of villainous exploitation by Loki and Ultron. Hey, did you hear? Disneyland Annual Passport prices went up. Click to watch the prices enlarge. The news was breaking over the weekend just as Anthony and I were about to record this week's show. While we didn't have all the info as we fired up the mikes (believe me, we do now), we certainly got the gist of things. One thousand dollar top level Annual Passports. That's pretty much all anyone needs to know. Do you think the new prices are worth it? Or is outrage more your style? Anthony and I offer our takes in this week's edition of Inside The Mouse Castle. 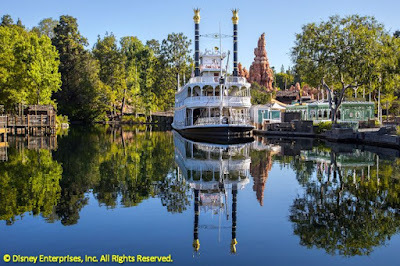 Then there's that Rivers of America thing at Disneyland. Seems a chunk of the river and the north part of Tom Sawyer Island are going to get chopped off to make room for the new Star Wars Land expansion. That also means a rerouting of the Disneyland Railroad. MiceChat posted a rough sketch of what they believe will be the new layout. Disneyland has confirmed that RoA will change, but they haven't confirmed exactly how much yet. The Children's Hospital of Orange County partners with Disneyland this weekend for the 25th annual CHOC Walk in the Park. Want to help support the health and well-being of children? Visit www.chocwalk.org. The Walt Disney Family Museum will honor songwriter and Disney Legend Richard Sherman at a fundraising gala on November 3rd. Sherman will be the first recipient of the Diane Disney Miller Lifetime Achievement Award. Sneak previews of Pixar's The Good Dinosaur will begin screening at Disney California Adventure and Disney's Hollywood Studios on October 16th. The film opens in the U.S. on November 25th. CHOC Walk in the Park. For over 50 years, the Children’s Hospital of Orange County has provided state of the art pediatric care to children throughout Southern California. Walt Disney himself was among the many community leaders who championed the need for an area children’s hospital in the early 1960s and helped make it a reality. CHOC Children’s, as it’s known today, has grown from a 62-bed children’s hospital into a complete pediatric health care system with numerous facilities serving multiple counties. CHOC Children’s has been recognized nationally for both its critical care and nursing excellence. 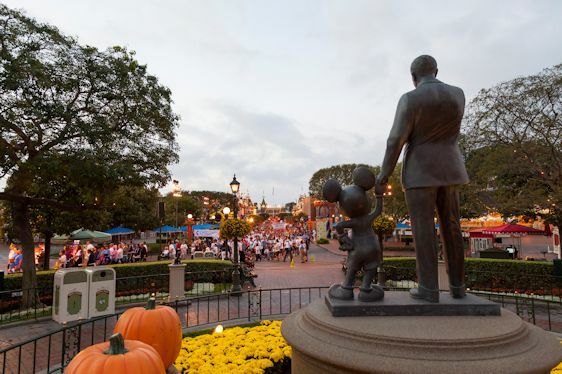 Each year, the Disneyland Resort partners with CHOC Children’s to put on the CHOC Walk in the Park, the largest single pediatric fundraising event in the country. 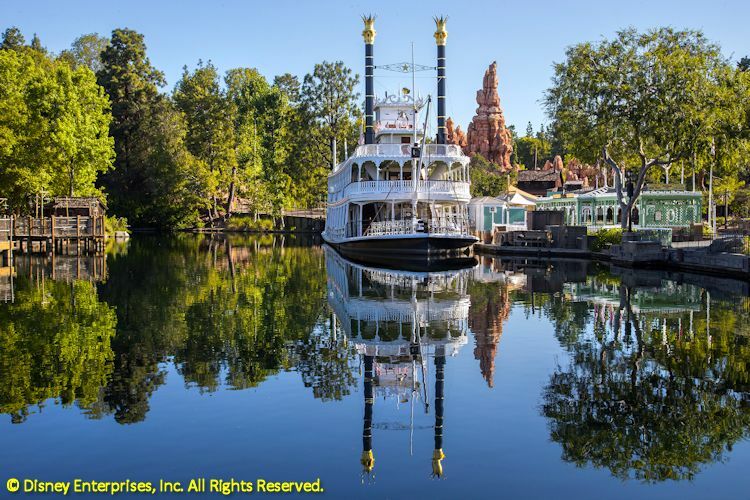 It’s a three-mile stroll through Disneyland, Disney California Adventure and Downtown Disney that draws thousands of participants annually. Since 1990, the CHOC Walk has raised over $24 million to support the health and well-being of children. Joining me in The Mouse Castle Lounge today is Zach Abrams, director of special events and corporate relations for the CHOC Children’s Foundation. He’s going to tell us everything we need to know about this year’s event coming up on October 11th. Before we get to Zach, though, I’m wrapping up part two of my fascinating conversation with author, historian and former Disney animator Tom Sito. Last week, Tom shared stories with us from his memorable animation career, where he worked alongside many of the greats including Richard Williams, Shamus Culhane, Art Babbitt, Glen Keane and Eric Goldberg. Tom appeared recently on the PBS American Experience documentary Walt Disney and last week we talked at length about the documentary and its portrayal of Walt, his life and his legacy. Tom and I pick up that part of the conversation by looking at one of more persistent—and false—rumors that continues to dog Walt Disney’s reputation.